This Chinese delicacy is famed for its irresistible aroma thanks to its being scented with jasmine blossoms. Traditionally created with a green tea base, the fragrance from the pretty white petals is sweet and welcoming, giving the tea a delicate and delicious flavour..
Jasmine tea is best enjoyed luke-warm, with the loose leaves being infused at around 70-80 degrees Celsius. They should be left to steep for two to four minutes, depending on your preference. 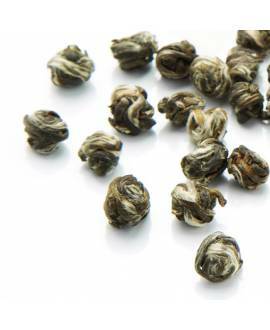 Purchase our traditional Jasmine Green Tea or for an extra special treat, try our exquisite Jasmine Dragon Pearls Green Tea of superior quality. Patience is a virtue when creating this floral tea blend. The petals are picked in the early hours of the springtime months, when the buds are still closed. They are stored in a cool area until the evening, when the flower has opened and scenting can take place. 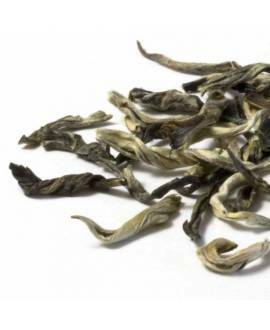 The petals are blended with the green tea leaves and left to infuse overnight. 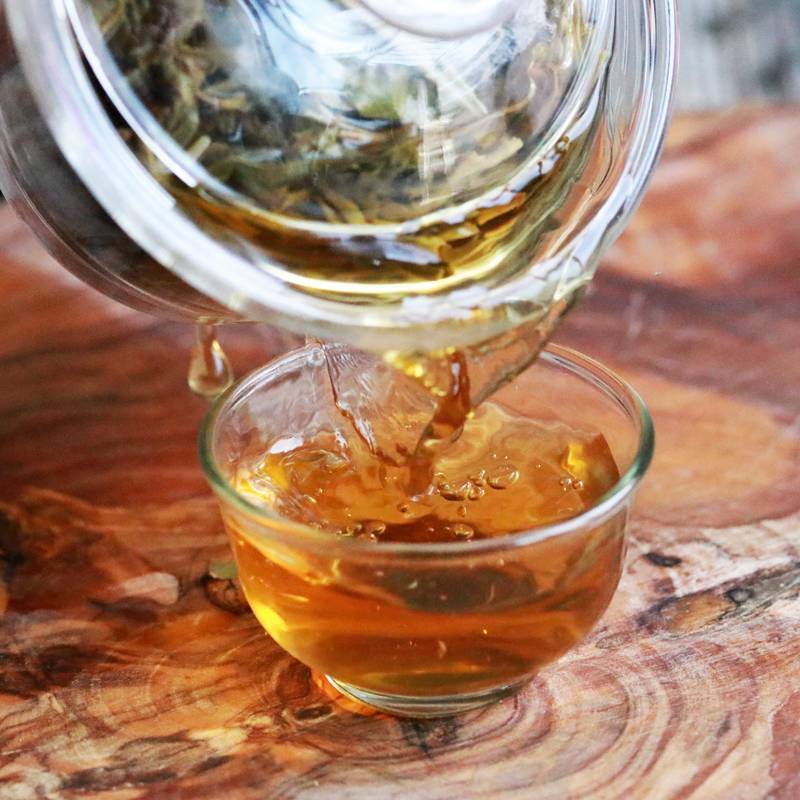 This process is done six or seven times to create a perfectly balanced tea. This warm, sweet tea might taste indulgent, but it harbours some pretty good health benefits too. 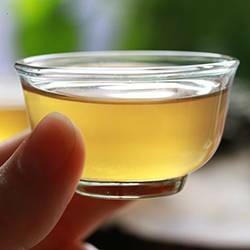 As with other tea varieties, it is rich in antioxidants, helping to regulate blood sugar levels, high blood pressure and lower cholesterol. It is a great stress reliever and is great for heart health. It aids the digestive system, joints and immune system for an all-over health boost. Some believe that it is a great tool in the battle against diabetes, gastrointestinal disease and cancer, helping to protect the cells that the diseases attack. Still unconvinced? You will just have to smell it for yourself!